820 Grove St, Homewood, AL.| MLS# 829947 | Richard Jacks UABLIVING.com 205-910-2297 | Birmingham AL Real Estate | Contact us to request more information about our Homes for Sale in the Birmingham AL area. 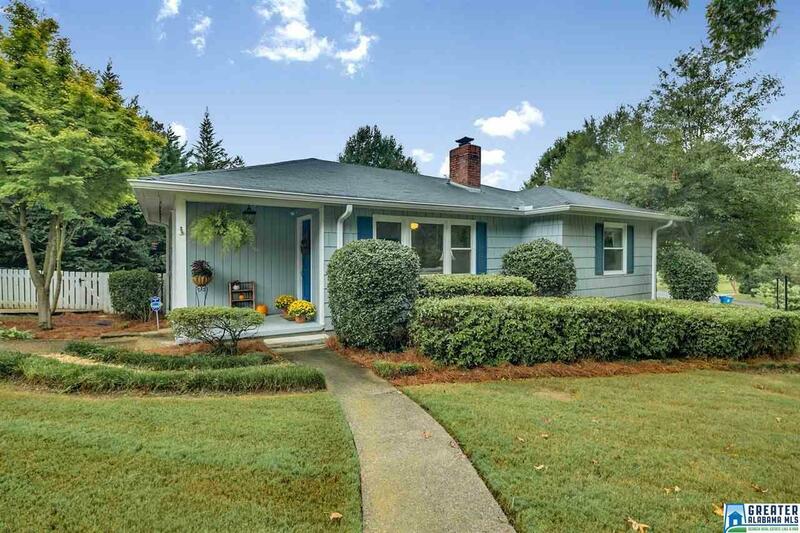 Welcome home to this charming, well kept, 1950&apos;s cottage with lots of charm in West Homewood. West Homewood is booming! Precious home on large corner lot that is walk-able to Hall-Kent Elementary, Patriot Park with a new pool coming, GM Pizza, Seeds coffee, so convenient. Original hardwood floors, fireplace with marble surround, open kitchen that has an eating area and breakfast bar. The bedrooms are spacious and larger than expected. There is a private master suite with French doors leading to a deck. Sip a glass of ice tea, grill, and entertain from the large deck. There is a BONUS rec room in the back that can be a "man-cave" or "she-shed." Plenty of storage and covered parking as well. Adorable sidewalk community. You will LOVE living in Homewood! !